6 Points or 12 Points Socket? Both 6 points and 12 points socket can be applied on hex nut. The difference is convenience and torque. More points mean more angles could slide onto hex nut. Compared with 6 Points Socket, 12 Points Socket have double number of points and easily fit onto hex nut especially in the confined place. In other words, it means the 12 points socket can fit into hex nut with rotating less only than 30 degree. This feature is quite time savor when you want to reach toward the deep hex nut in narrow space. 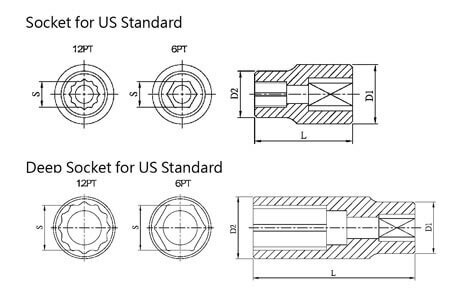 1) The flank thickness of 6 point socket is thicker than 12 points. Torque can be evenly applied on each side of the hex nut. To make a simple conclusion. A professional craftsman MUST have a complete set of 6 points socket set. And 12 Points Socket set is nice to have. 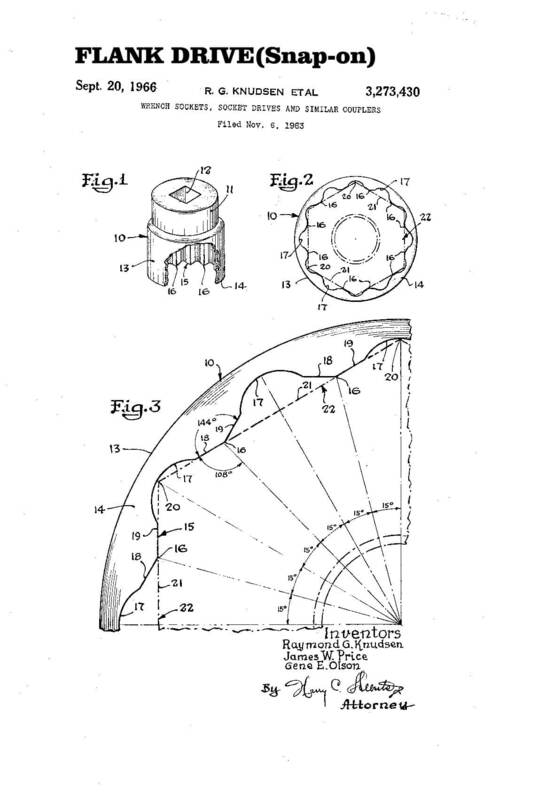 Tool Little Knowledge: Snap-On developed 12 Points Flank Drive patent in 1996, to fix hex nut or bolt wear problem. This invention is one of most popular socket patent in the world.